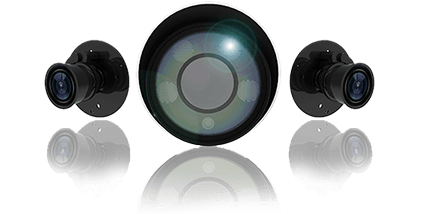 The IR LEDs technology has been upgraded to provide videos with a viewing range of up to 50m(80m). One LED on the top work as High Beam, while the other two on the bottom as Low Beam for better image clarity and quality regardless of the object distance. Also, the Low Beam and High Beam’s brightness can be adjusted manually or automatically on the basis of the zoom ratio. 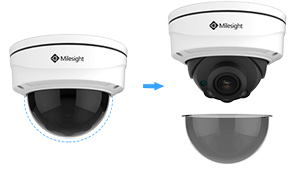 Equipped with motorized zoom & focus lens, Milesight H.265+ Motorized Pro Dome Network Camera allows remote control of focal length, iris and focus through the use of a lens controller, which is perfect for long distance surveillance in areas such as parking lots, highways and ports. 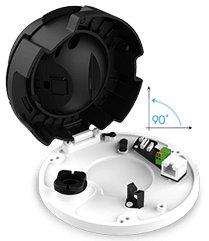 Aiming to reduce the installation troubles to the least, Milesight creatively introduces the clamshell design to the dome base. 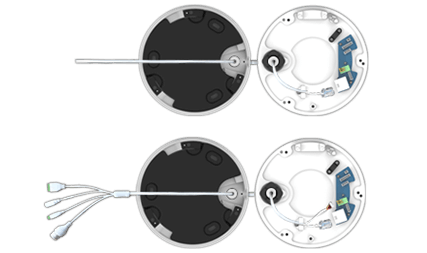 This revolutionary innovation enlarges the space to make cable connection a piece of cake, greatly saving efforts for installers. In the base, there are power interface, PoE port, Alarm I/O and Audio Output. Thanks to integrated cable management, it takes no effort in installation. In order to provide superior night visibility, the H.265+ Motorized Pro Dome Network Camera employs the 3rd generation dot matrix IR LEDs, essentially guaranteeing excellent image quality, long lifespan and energy efficiency. 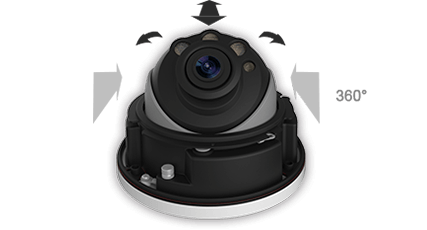 The H.265+ Motorized Pro Dome Network Camera features 3-axis mechanical design for fast and easy adjustment of the camera’s viewing angle , allowing you to position the camera precisely. 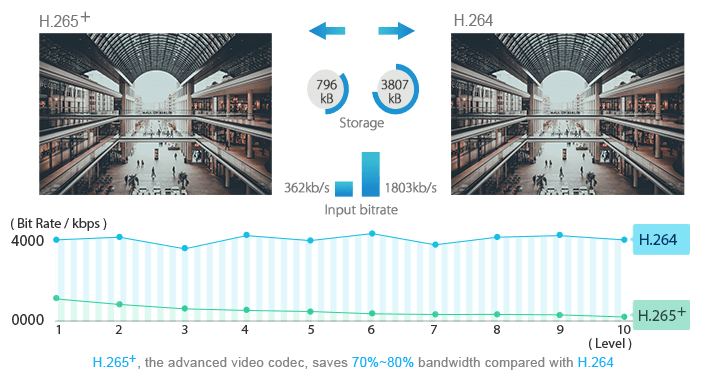 Adopting P-Iris control technology, the H.265+ Motorized Pro Dome Network Camera is able to optimize the iris opening under all lighting conditions, offering images with better contrast, clarity, resolution and depth of field. 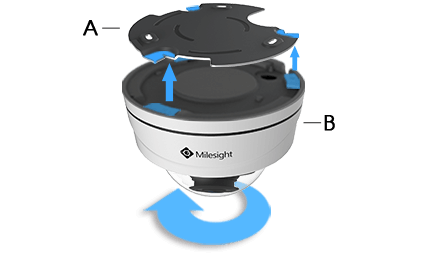 Milesight H.265+ Motorized Pro Dome Network Camera supports Smoked Dome Cover which is able to hide the direction of the camera for not letting people see where the camera is pointed. For installers, holding the camera body to secure the screws into the wall is a fatiguesome job. Being customer-oriented, Milesight optimized the hardware structure to avoid that with a light thin mounting bracket, installers could firstly secure the mounting bracket in the desired location and then insert the camera body, thus no unnecessary energy is wasted.